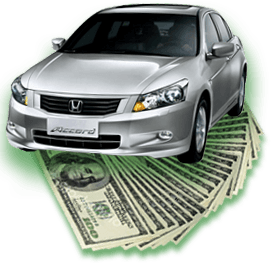 The MOST CASH on Bad Credit Title Loans Mesa can offer! Do you need cash but have been turned down by banks and other lenders because of bad credit? Stop worrying about your bad credit. At B And B Pawn And Gold, we specialize in bad credit title loans. Your credit score, prior payment history, and even your bad credit mean nothing. We only look at your collateral, so bad credit is not relevant. unnecessary paperwork or problems. Our lending group does 1000′s of bad credit title loans every month to people like you! All without the hassle of a loan application. With our Lender in Mesa, bad credit title loans are simple because we don’t even consider your credit and we haven’t since 1986. The FASTEST way to get cash now! We are nothing like other stores that give you a turn down based on your history. We are here to approve bad credit title loans, figure out what you can afford, and make this work for you. We can make bad credit title loans on a vehicle that you own. Our ability to make bad credit title loans on any vehicle of value makes us unique. How can we offer these bad credit title loans when other lenders won’t? We don’t think a credit score defines everything, to put it simply. If you fall on hard times, which is why you’re looking for a title loan in the first place(! ), then your credit might already be shot. We use various other deciding factors to make our loans, aside from credit. After all, the point of a title loan is it to be a collateral loan meaning your car is the basis for the loan, not a credit score, so it simply doesn’t make sense to look at credit scores to determine this! At our pawn shop in Mesa, you are our most important customer. You will not be turned down. Bad credit won’t even slow you down — the only requirement for a loan is that you have a vehicle for us to lend on. Stop by today, or call us at (480) 644-7932. And, put bad credit behind you! Still have questions? Visit Phoenix Title Loans, LLC’s page on bad credit title loans! An auto title loan is the best way to ensure that you’re getting all the money you need. 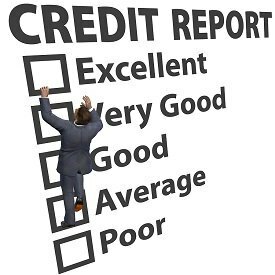 With a bad credit title loan, you can get thousands of dollars instantly! The reason bad credit doesn’t matter whatsoever to us is because you use your car as collateral. As long as you have a car, and you have a clean title, then we’re in business! You can get the quick cash you need, even with bad credit, in a mere matter of minutes. Don’t delay, get the fast cash you need today! Whether you’re from Mesa, Tempe, Chandler, or Gilbert, we’ll get you every dime of the cash you need instantly.